Green Headlands Award Winner, Geoff Mayhew, highlights a range of benefits to the farm, including rooting to protect and enhance soil structure on the headlands, as well as capturing nutrients and retaining them in the field. 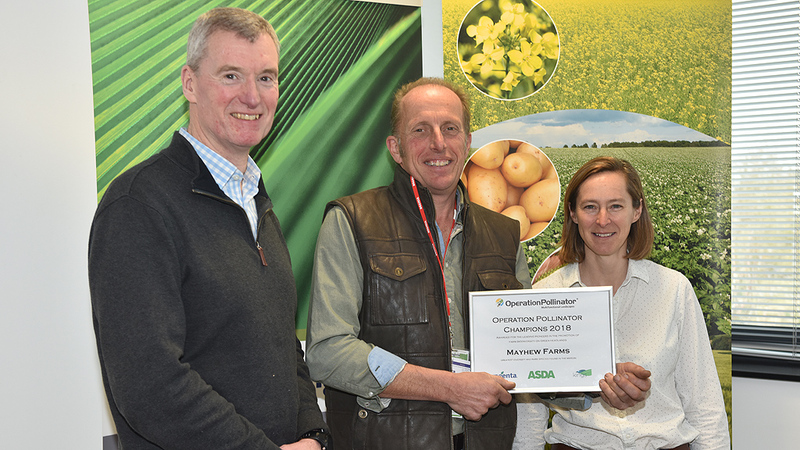 The nationally scarce Squat Furrow Bee was one of the exciting finds on the Suffolk farm of the Geoffrey Mayhew Farms ltd, based at Pond Farm, near Erwarton, Ipswich - winners of the Syngenta Operation Pollinator Green Headlands Biodiversity Award 2018. With between 41 and 55 different species in each of the farm’s Green Headlands assessed, the biodiversity was consistently high. 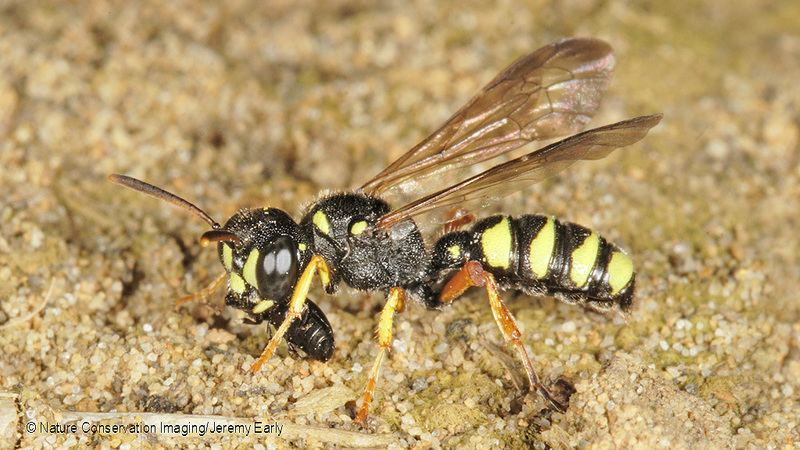 That included a Five Banded Digger Wasp (below), which is nationally rare and a key target for action to enhance biodiversity, but has a strong foothold in Suffolk. Geoff was presented with the farm'sGreen Headlands Award by Chris Brown of ASDA (left) and Syngenta Sustainable Farming Manager, Belinda Bailey. “Environmentally it delivers a real positive boost for the farm and, since we are growing the mix on previously uncropped headland, there is no loss in productivity from then field,” he enthused.